"Last October, detectives were called to investigate the death of a woman under a London tube train. But as they traced her final moments, they discovered that she was, in fact, David Burgess, one of the most brilliant immigration lawyers of his generation. Here, Burgess's family and friends tell, for the first time, the complicated story of the loving father, brilliant colleague, sensitive woman and courageous person they knew." Thank you, Gwen for alerting me about this story that appears in today's Guardian The Observer. You can read the rest of it here. I so identify with Sonia! I wish I knew her before she died. Thanks for point this out, Stana. I can see how you relate to her and the circumstances. Same here... So sad. The Observer, actually (the Guardian's Sunday sister). It's great that Sonia should get such full and sympathetic coverage; but the circumstances are so sad. I too identify with her a lot. 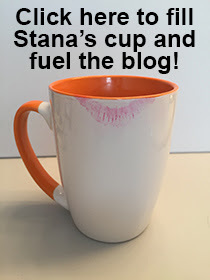 Stana, thanks for posting this link. It's a very sad story. The small silver lining in all this is the tone of the article. The journalist who wrote the story was quite respectful and sympathetic. It's a small thing but a small positive step in the right direction. Such a waste of a an exceptional life. I have every admiration for those who were able to manage to sustain a useful life whilst living in the wrong mode. I did not manage and hid away for too long. For the British press this is exceptionally positive respectful coverage quite unlike many of the more popular newspapers who still inhabit planet bigot. thank you for letting our world know about this tragic event. I completely agree that this was one very special woman and it would have been wonderful to have known here. Sonia, may you rest in peace.